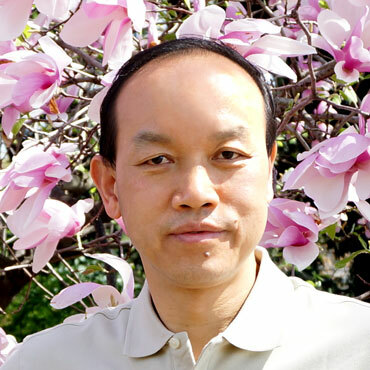 Professor of Early Chinese History and Archaeology in the Department of East Asian Languages and Cultures, Columbia University, Li Feng has accumulated rich academic and cultural experiences in Asia and the West. His early fieldwork dates back to the 1980s when he was a member of the Institute of Archaeology, Chinese Academy of Social Sciences. He also engaged in archaeological excavations and cultural preservation practice in Japan in the early 1990s. From 2006 to 2011, Li Feng led Columbia’s first international collaborative archaeological fieldwork in China focused on the Guicheng city-site of the late Bronze-age, Shandong Province. He also founded the Columbia Early China Seminar in 2002 and have served as its chair and co-chair until 2013. Li Feng is recently named a Changjiang Scholar in Jilin University (2015). Li Feng’s research interests range across such areas of study as the rise of complex society and civilization, early state organization, interregional cultural relations, workings of bureaucracy, nature of early writing, social and economic dynamics of early state and empire. In order to address these questions, Li Feng engages broadly epigraphic-textual records and material remains and his works show the benefit of considering both types of evidence in the comparative study of early societies. Li Feng is acknowledged especially for his scholarship on ancient Chinese bronzes. As a historian, he explored new approaches to Western Zhou history based on contemporaneous inscriptions on bronzes as primary sources of study. His published books include Landscape and Power in Early China: The Crisis and Fall of the Western Zhou 1045-771 BC (Cambridge 2006); Bureaucracy and the State in Early China: Governing the Western Zhou (Cambridge 2008); Writing and Literacy in Early China (co-edited; UW Press, 2011); Early China: A Social and Cultural History (Cambridge 2014). He is currently preparing for publication a bilingual archaeological monograph, Guicheng: A Study of the Formation of States on the Jiaodong Peninsula in Late Bronze-Age China, 1000-500 BCE. Li Feng received his MA degree from the Institute of Archaeology of CASS (1986), and Ph.D from the University of Chicago (2000). He also did Ph.D work in the University of Tokyo (1991).